Chris Slane knows what it means to be a Sith Apprentice. Currently the editorial cartoonist for the New Zealand Listener, his portfolio includes much political commentary, spanning back to his work for Auckland University’s Craccum newspaper. Several Qantas awards for his cartoons punctuate his resume, and a stint designing caricature puppets for television realised his artistic skills in the third dimension. 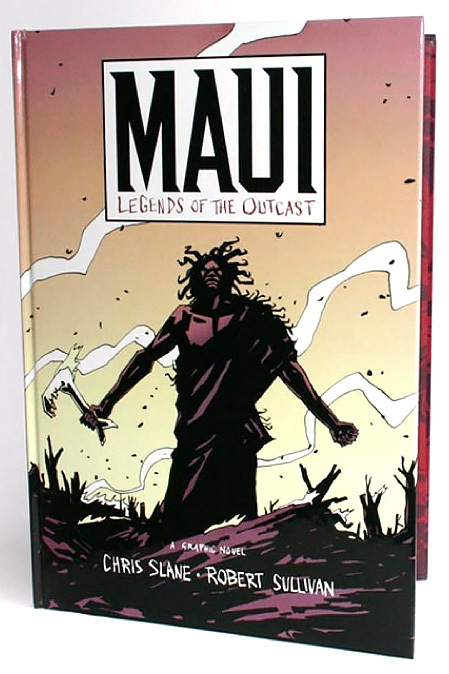 Amidst this backdrop of both seriousness and satire sparkles the persistent gem that is the graphic novel ‘Maui: Legends of the Outcast’. Illustrated by Slane, authored by Robert Sullivan and published by Godwit Press, its longstanding sales record, including in the US market (via Antipodes Publishing), bought Slane to the attention of Dark Horse Comics. 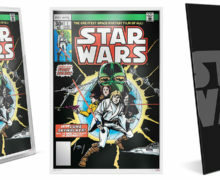 In 2001 he contributed the artwork to a story entitled ‘Nameless’, published in ‘Star Wars Tales’ issue 10 (and again, later, in volume 3 of the trade paperback editions). 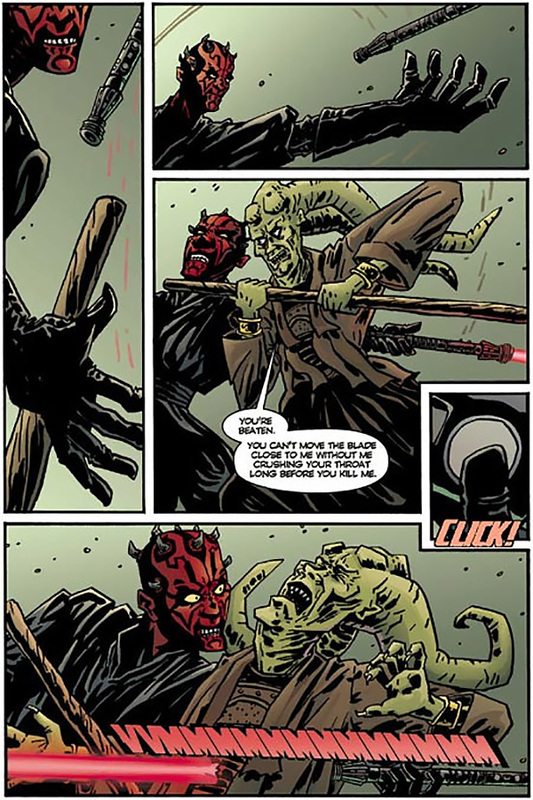 ‘Nameless’ revolves around the short-lived anti-hero of Episode 1, Darth Maul, and describes the origins of Maul’s unique double-ended saber. 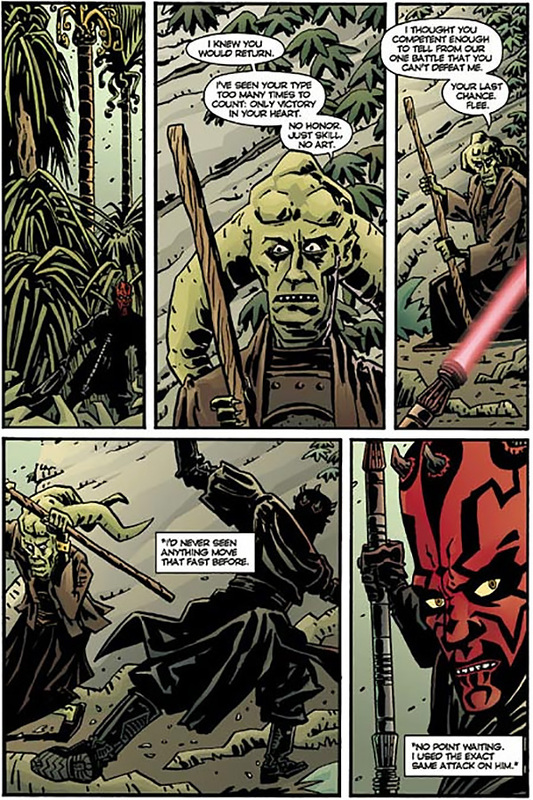 Fulfilling both a drive for revenge, and the distasteful bidding of his Lord, Sidious, Maul battles a genteel Twi’lek Jedi Master amongst a jungle setting strongly reminiscent of native New Zealand bushlands. ‘Nameless’ was scripted by Christian Read, and strong colours were served up by Americans Guillia Brusco and Matt Hollingsworth. The depth of character injected into Maui to bring him to life served Slane well as preparation for the challenge of Maul. Of Maui he speaks: “Robert and I wanted to emphasize Maui’s role as the outsider – a damaged spirit who returns in an human form to plague the society which rejected him”. Rendering Darth Maul introduced new challenges, not the least of which was working with such an established character to a strict level imposed by Lucasfilm. Slane elected to take the character further: “I wanted to emphasise the uneasy predator-threat feeling you get looking at the movie Darth Maul – the camouflaged tiger stalking you in the jungle”. 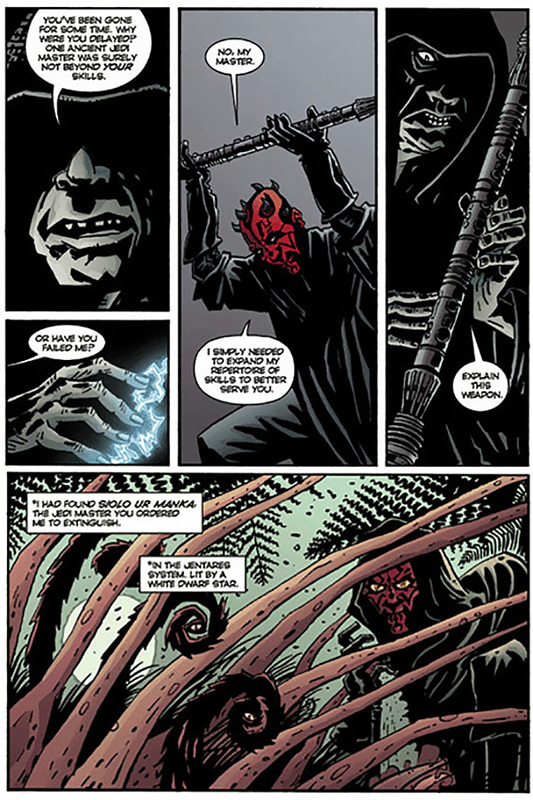 Working to a tight deadline, reference for Darth Maul was derived primarily from previous comic representations. Chris’s foreknowledge of the movies, and exposure to the expanded SW universe through video games like Dark Forces undoubtedly helped. The interior of the Sith Infiltrator was comparitively mysterious: the frame it fills in ‘Nameless’ stems solely from his imagination. 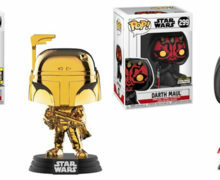 Chris Slane’s interpretation of Darth Maul and associates was granted blessing by Lucasfilm’s scrutineers, but, perhaps more importantly, was met with approbation and respect from his children. You can read about Chris and view samples of this work at his website www.Slane.co.nz. The images on this page, and characters depicted therein, remain the property of their respective copyright holders (incl. 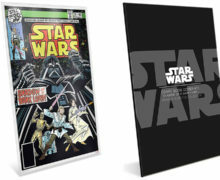 Chris Slane, Godwit Press, Dark Horse Comics and LucasFilm).